Peopled by characters struggling with second marriages, abandoning artistic aspirations, or coming to terms with the betrayal of their own expectations, this collection of eleven new stories from Ann Beattie makes it strikingly clear why she is known as one of "American literature's most adept explorers and interpreters of the unraveling edges of life" (Miami Herald). 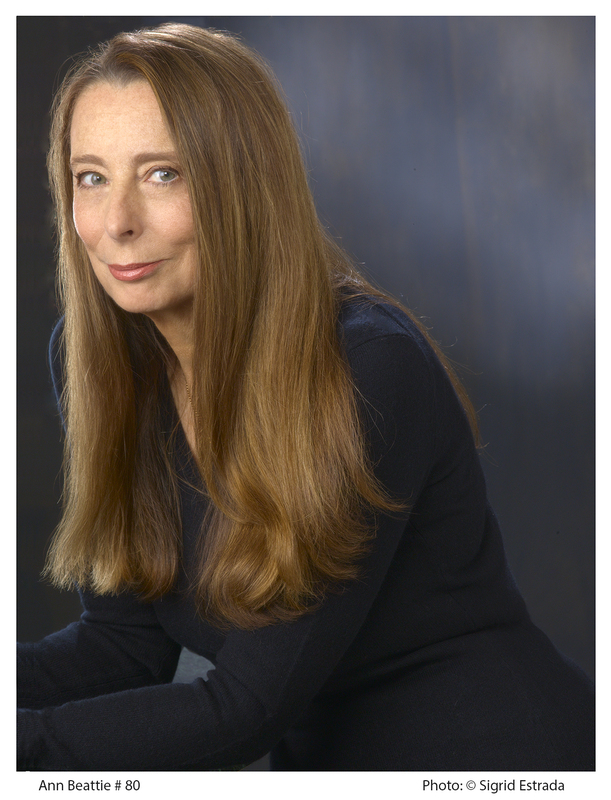 Ann Beattie, whose first published short story appeared in The New Yorker in 1973, received the 2000 PEN/Malamud Award for Excellence in Short Fiction. She is, as the Washington Post Book World said, "one of our era's most vital masters of the short form." The eleven stories in her new work are peopled by characters coming to terms with the legacies of long-held family myths or confronting altered circumstances -- new frailty or sudden, unlikely success. Beattie's ear for language, her complex and subtle wit, and her profound compassion are unparalleled. From the elegiac story "The Famous Poet, Amid Bougainvillea," in which two men trade ruminations on illness, art, and servitude, to "The Big-Breasted Pilgrim," wherein a famous chef gets a series of bewildering phone calls from George Stephanopoulos, Perfect Recall is a riveting commentary on the way we live now by a spectacular prose artist. 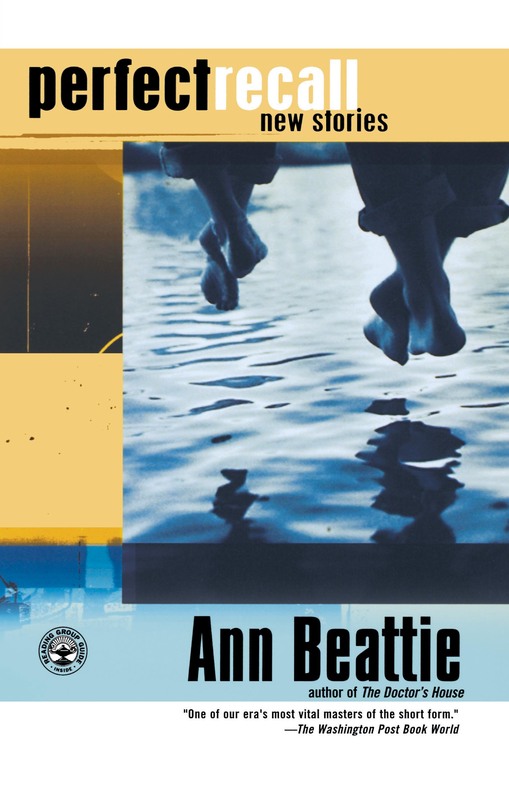 1.In Perfect Recall the narratives Ann Beattie has created shift between various places and times. The title story epitomizes this fluidity: Jane's ability to remember conversations and events in their entirety allows her to document her family's story and to attempt to weave the past and present together. How does the past affect the lives of the various characters? What does Beattie achieve by incorporating the past into many of the narratives throughout the collection? 2.In "See the Pyramids" Cheri says to Erin, "You could get married, go on a honeymoon, see the pyramids." Trips, visits, moves, migrations -- many journeys take place throughout these stories. Often these are a means of escape or a gateway into something or somewhere new. Discuss how the theme of traveling surfaces in each story. Why are these characters traveling? Where, or what, are they moving toward? At the end of these journeys are they satisfied? 3.As traveling is one of the main themes of the collection, then place is also significant. Discuss the importance of place throughout the book, especially in relation to Maine and Key West, where many of the stories are set. Compare and contrast these settings. What types of people are drawn to each place, and why are they drawn there? 4.Why do you think Beattie chose to begin her book with one of nature's most powerful forces? What relationships do the characters of Perfect Recall cultivate with their natural surroundings? It may help to begin by discussing the various scenes that involve water. 5.The collection is peopled with various pets and wild animals. What does the coydog mean to Fran? Why does Carleyville keep a menagerie of wizened animals? Why does the raccoon awaken Hopper's compassion? What other animals do we see the characters interact with? What is the symbolic significance of these animals? By placing so much importance on the natural world, what is Beattie saying about people, about our place in the world, and our relationship with it? 6.During "The Infamous Fall of Howell the Clown" we attend a funeral, in "The Women of This World" we learn of an attempted killing, and in "In Irons" we learn about the friendship between Derek and a dying man. These stories are constantly reminding us of the fragility of our existence. Discuss the different reactions and interactions the characters have with death. How is death portrayed? Does Beattie provide us with hope? If so, what shape does it take? If not, why? 7.In both "Hurricane Carleyville" and "Mermaids" the war is referred to as the principal defining moment in both Carleyville's and Miles's lives. Discuss how the presence of war relates to the book's themes of nature, death, and the past? 8.Celebrities surface in many of these stories, either in the casual conversations of the characters or, as in the case of "The Big-Breasted Pilgrim," the actual presence of a famous personality. How does being close to someone famous alter Beattie's characters? A few of the characters even attain their own fame. How, if at all, does this transform these characters and their lives? 9.Like fame, money becomes a distinction in many of these stories: "Cat People" and "Perfect Recall" both reflect how people struggle with class and greed. How does money affect the relationships between the characters? Does it alter the balance of power? If so, how? Along with money and class comes travel -- what distinction if any is made between the local people who live in a place and the visitors who simply summer there? In "Perfect Recall" how does Beattie address one of the classic dilemmas of an artist -- the struggle between money and art? 10.Many of the people we meet in Perfect Recall are artists: chefs, painters, poets, and designers. What are the symbolic meanings of art throughout the collection? Although these artists hold an important place in the narratives, they are neither the protagonists nor the narrators -- instead, they are the ones caught in the stories, captured in the frames. Why do you think Beattie has chosen to write about these people and why does she choose to write about them through the lens of the protagonist or narrator rather than through their own perspective? What do these characters offer to the people who surround them? 11.In many ways Perfect Recall is a study in the modern family. Discuss the various images of family we are presented with. 12.In "See the Pyramids," Erin says to Cheri, "I don't want to keep experimenting. I see where that's gotten everybody else: married to people who are sort of right for them and sort of wrong for them....I don't know anybody who found anybody perfect, do you?" From beginning to end this book is wrought with failed marriages and the dissatisfactions of love. What prevents these relationships from working? Discuss the many shapes that love takes throughout the collection. Which of these relationships are successful and what makes you think so? 13.On many levels this book extols friendship, particularly the friendship between men. These platonic relationships seem to provide the most comfort. Discuss the last sentence of "Coydog" in relation to the entire collection, "I remember the day the poor lonesome coydog got a broken heart when it went and fell in love with animals not quite its kind." What do you think Beattie is saying about our need for companionship and belonging? The Washington Post Book World One of our era's most vital masters of the short form. Jennifer Schuessler The New York Times Book Review So vivid and beguiling is Beattie's writing that it isn't until you look again that you realize how rarely she reaches for metaphors or other figures of speech, and how little she needs to...More often than anyone has a right to, Ann Beattie nails it. Conan Putnam San Francisco Chronicle ...Beattie has become an expert at probing the essential mysteries of human character. Mark Levine Men's Journal The stories are always brilliantly real and slightly askew...Add to her total recall the gift of perfect pitch and what you get is indelible writing. Diane Roberts The Atlanta Journal-Constitution This collection is sleek, urbane, eminently readable...Beattie beats Updike any day for elegance of style and profundity of wit. Intelligence combines with sympathy to create a first-rate collection.